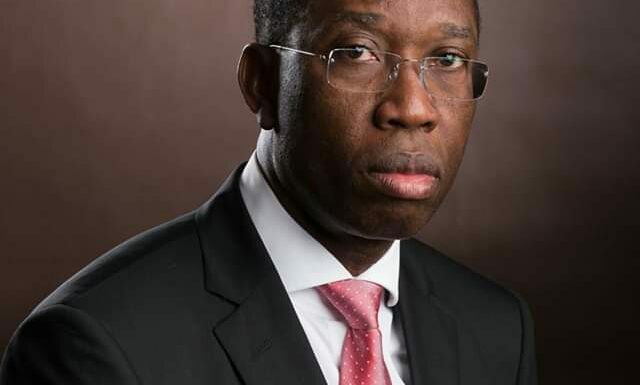 The Delta state governorship election tribunal petition against incumbent governor and governor-elect of Delta state, Senator Dr. Ifeanyi Okowa by the All Progressives Congress (APC), and it’s governorship candidate, Chief Great Ovedje Ogboru would be struck out easily. An aide to the governor, Fred Latimore Oghenesivbe said this following reports that the tribunal has granted Ogboru permission for substituted service. He said that Ogboru lacks the “locus standi” in the first place to bring the petition against Okowa’s re-election. The Executive Assistant on Communications to the Governor hinged his argument on the subsisting court orders contained in the ruling of Justice Toyin Adegoke of the Federal High Court Asaba as well as the Victor Ochei instituted case by Justice Nnamdi Dimkpa, which nullified the 2019 primaries and election victory of candidates produced by the Jones Erue faction of the APC. He contended that to have a “cause of action”, the legal rights must exist and the petitioner must establish that he or she is directly affected by the results declared by the Independent National Electoral Commission (INEC) so as to enjoy the legal principle of fair hearing. “Therefore, Ogboru stand to be treated as a ‘political leper’ and ‘candidate not known to law’ by the election tribunal and reasonably deserves nothing but outright denial of right of fair hearing. .”Its laughable for Ogboru to file petition at the tribunal challenging the results of the election after a court of competent jurisdiction nullified his candidacy occasioned by illegal primaries which was conducted by a non existent Erue party exco as clearly stated in the ruling of my Lord, Justice Adegoke. “Ogboru’s candidacy is not known to law based on the Court subsisting orders declaring the Cyril Ogodo faction as the legitimate and authentic state exco of APC in Delta State, and subsequently declared the election victory of all candidates presented by Erue faction for the 2019 general elections null and void and of no effects whatsoever. “It is the law that Ogboru lacks locus standi to file a petition referring to himself or APC referring to him as the 2019 governorship candidate of APC in Delta State, because the court orders contained in the judgment are valid and subsisting since no appeal has been filed, heard and determined in the matter”, the statement added.